A Supershape foil balloon to be helium filled measuring 25 x 31 inches, 63 x 78 cm. 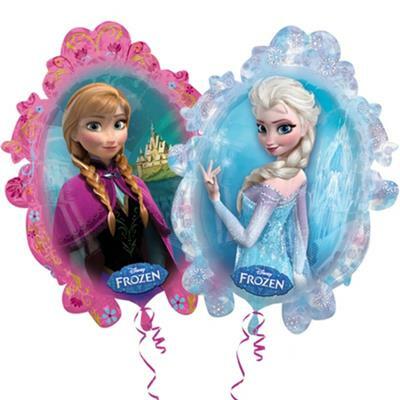 A very pretty foil balloon featuring Characters from the Disney film Frozen. A two sided design with Elsa on one side and Anna on the other.